IF I wasn't for 'our' Patti, I myself still would not have a clue as to what on this good earth a Khomus is. The story of the Khomus that you are about to read, and the photographs of the Khomus that you are about to see, all go back to our friend Gullible. Little did I know, how could I realize, my life was about to change thanks to Gullible. Gullible and Patti go back well over fifty (50) years. Gullible is the reason that I have this website. Gullible set it up for me on October the 22nd, 2011. Gullible is a very important friend and advisor and confidant to Patti and I.
I do not take-lightly suggestions given to me by any of my close, innermost circle of friends. 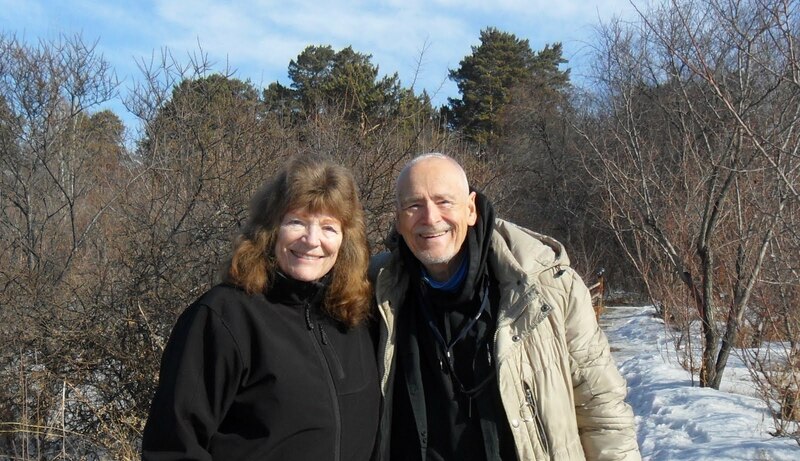 Back, way back, it was Monday, November the 16th, 2015, Patti, Gullible and I were in Ulaanbaatar, Mongolia. Patti, Gullible and I were leaving Mongolia the next day, Tuesday November the 17th, and flying to Hong Kong. The day before I fly anywhere can border on being 'crazy'. I have to completely 'focus' on my pre-trip preparations. So I usually do not plan any activities except getting ready to take the trip I am about to take. Suddenly, out of nowhere, with no notice, Gullible says to Patti and I : "Let's go eat at Millie's Cafe!" I work very hard at NOT using any profanity in my speech. But I thought to myself : "What in the @#$% is Millie's Cafe? Where in the @#$% is Millie's Cafe located? There is no @#$% way that I am going to research Millie's Cafe with the three of us flying to Hong Kong in the morning!" As I recall, I said politely : "Gullible! What are you talking about? I've never heard of Millie's Cafe. I have no idea of where it is nor how we can get there. We are flying to Hong Kong in the morning and I am sorry but I can't fit-this-into-our-plans." Gullible replied : "I found Millie's Cafe on Trip Advisor. It is one of the most highly rated restaurants in all of Ulaanbaatar and I wanted to eat there." I replied : "What is Trip Advisor?" Gullible : "Cap have you been living under a rock?" I replied : "NO matter what Trip Advisor is, we cannot possibly find and eat at Millie's Cafe." I then solemnly promised myself : "One someday I will find out about Trip Advisor and I will go to Millie's Cafe here in Ulaanbaatar and I will send Gullible all the details that I can gather together." That one someday was April 26th, 2016. As I write these words, I have posted one thousand one hundred and seven (1,107) Posts on Trip Advisor and uploaded fourteen thousand nine hundred and forty four (14, 944) photos on Trip Advisor. To a very great extent, Trip Advisor is what I do. I research a city on Trip Advisor. Then I visit the interesting attractions. I write them up and submit photographs. Thanks to Gullible and in return thanks to Trip Advisor my life is richer. It was 'our' Patti who found, while herself exploring Trip Advisor attractions in Yakusk, Russian Siberia, The Museum and Center of the Khomus of the People of the World. Khomus. What on this good earth is a Khomus? A Khomus is a Mouth Harp. A Jaw Harp. An Ozark Harp. A Juice Harp. In French it is a Guimbarde. The Turkic people of Asia call it a Temir Komuz. It did originate in Asia. Lastly, the Khomus / Jaw Harp / Mouth Harp is far more commonly called a : Jew's Harp. My research reveals that it has no known nor firm connection with either the Jewish Religion nor its people. We paid a modest fee of 350 Russian Rubles (U.S. $5.38) to enter the Museum. Local residents pay somewhat less. This fee covered the services of our Russian speaking docent and entitled us to a free 'concert' of Jaw Harp music given us by two different members of the staff. The Museum and Center of the Khomus of the People of the World. The Russian word above XOMYC is their word for Khomus. The large red letters at the top of the below building advertise that this is where the Khomus Museum is located. Notice that instead of using the letter O they show a Jaw Harp. Just in case some of you do not know what a Jaw Harp looks like, you can see some of them in the below photo. A very clear photo of the Jaw Harp being used instead of the letter O. Yes oh yes! There were many steps to walk up. The Museum is on the third (top) floor. Patti and I just did them one step at a time. We are not up to the top floor yet. The Museum used to be on the second floor, the one you see below. It has moved to the top floor. A photo of the former Khomus Museum entrance. Now we are walking up the final steps to the third floor. The below brown doors are the entry into the Museum. Below we have entered into the Museum. Our tickets are shown below. 350 Russian Rubles are U.S. $5.38. Now we will walk straight through the below door and enter the Museum proper. The Museum staff can accommodate a fairly sizeable group of visitors. One last look at the Jaw Harps. Our visit here was just a lot of fun. Our Russian friend Anastasia who accompanied us was a great help because our Docent and guide spoke no English. Last but certainly not least, when Patti was exploring the Museum on Trip Advisor she noticed that sometimes a staff member will put on a short Jaw Harp Concert for visitors. So Patti asked our Docent and we lucked out. We had two concerts with two staff members. Thank You so much Yakutsk for hosting us.